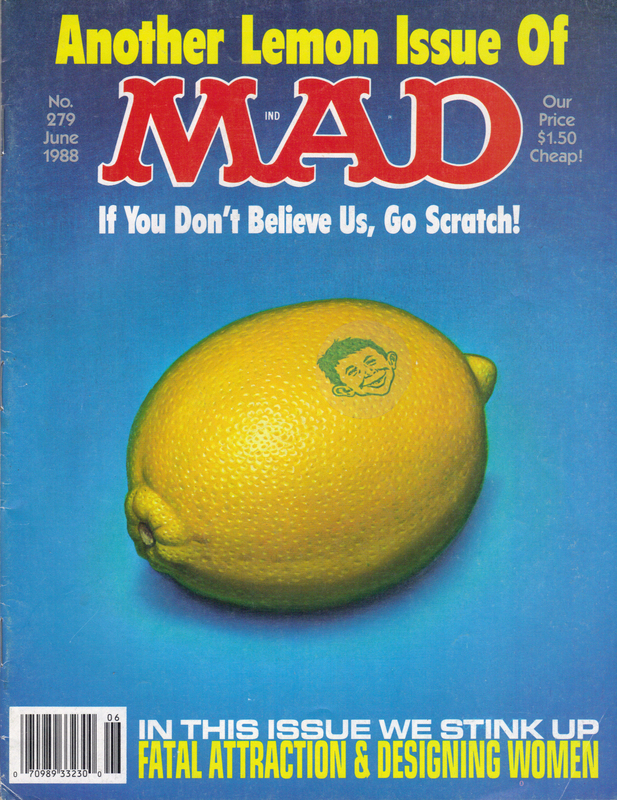 I will let it be known that I am a long time fan of MAD magazine. I was first introduced to the magazine by my dad, and have been periodically reading it ever since then. I remember going grocery shopping every Saturday, mostly at Shop-Rite, with my dad and step-mom. One day when I was 9 years old, my dad decided to buy the latest issues of Mad magazine and Cracked. This became a ritual every month when the new issues hit the stands. Which brings us to today’s Random Quickie. This is that first issue that I read(not the exact issue, that got traded a long time ago). I always remembered it because of the scratch and sniff cover, and any time I would think about my dad, I thought of this issue. I found this copy on Ebay a couple of years ago, and it’s the cornerstone of my MAD collection. My dad passed away 14 years ago, so this is nice reminder of the influence he had on me, and the good times we had together. This one’s for you pop.